Last month, Stan Lee passed away from natural causes. The news shocked both the country and all comic lovers around the world. But many don’t really know the man outside of his frequent cameos in superhero movies. So, let’s wind the clock back and take a look at the life of Stan Lee by delving into comic book history. Stan Lee graduated from DeWitt Clinton High School in the Bronx in 1939. After graduating, he landed a job as an assistant at Timely Comics, the company that would eventually become Marvel Comics. He was a small-time writer, credited with the occasional Captain America story here and there, but he wasn’t anything important in the company yet. Back in those days, the comic book industry went hand in hand with World War II, since the superheroes were reflections of the war effort. Books upon books were written about Captain America and his team of Invaders attacking the Axis Powers. But when World War II ended, the superhero industry began to die out. The war was over, and nobody wanted to read stories about fighting the Nazis anymore. So, people started letting their imagination roam free. Sci-Fi graphic novels were all the rage. Space, aliens, time travel, and anything but reality was flying off the shelves. It was then that Stan’s time as an assistant at Timely Comics began to pay off. The company rebranded itself as Atlas Comics in an effort to get away from their World War II days. Almost every kind of genre was published under this new brand: western, horror, science fiction, everything except superhero. 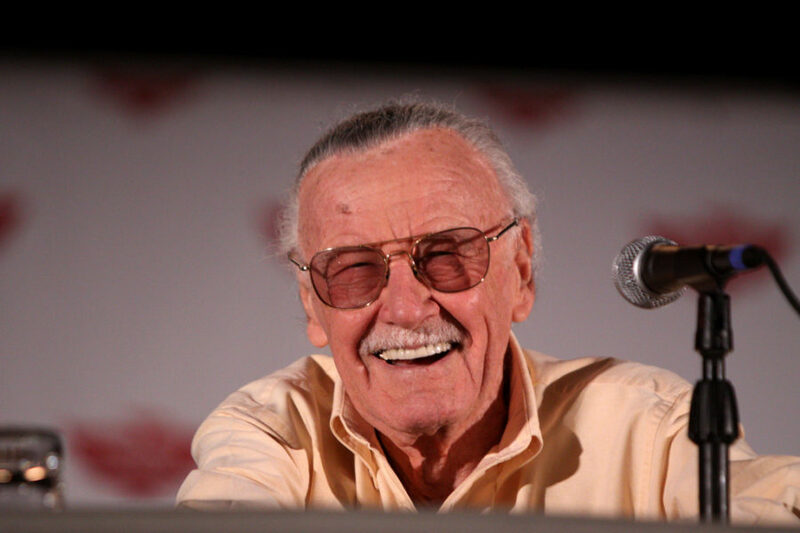 Stan Lee helped write almost all of them, taking a leading role in the company. By the 1960s, he was an established figure and writer in the comic book scene. In 1956, DC released the new Flash: Barry Allen. His powers were a result of a lab accident, which merged the popular science fiction with the previously popular superhero genre from. This reignited interest in superheroes in the general public, and people were eating it up. Atlas needed something to be a real competitor in this scene. So for four years, DC pumped out new or reworked characters without any real competition. That’s when Stan Lee came up with his idea to have Atlas comics invent their own superhero team, a team that would rival the Justice League. But Stan Lee didn’t want superheroes that indulged in the darkness and fear of the 60s. The Cold War was ongoing; the Red Scare was creating terror; and McCarthyism was incriminating everyone. The world was dark enough as it was. Stan wanted relatable heroes that were rooted in our world, and that dealt with our problems, but gave us a sense of optimism for the future. He wanted to give us a place to find hope. And so, Stan Lee came up with his first superheroes: The Fantastic Four. This team wouldn’t be like the Justice League. The Justice League was all about teamwork; there was no bickering or infighting. The Fantastic Four was a family, and every family has their fights. They merged family drama with their own superhero crises to create a new and interesting idea. With the fantastic storytelling of Stan Lee and the amazing art of Jack Kirby, the Fantastic Four exploded off the shelves. It became so insanely popular that Stan Lee was given essentially free reign to do what he did best. Stan Lee and Jack Kirby were head and shoulders above almost everybody else in the comic industry: they created the Avengers, brought Captain America back, created Iron Man, Thor, the Hulk, the X-Men and so many more that it would be impossible to list. The success of Marvel today was solely because of the hard work they put in, the success they had, and the stories they told. But it never was their powers or their villains that made these heroes so popular: it was their relatability. My favorite character of Stan Lee is and always will be Spider-Man. When Stan Lee first proposed the idea of a teenage superhero whose life was a wreck and who was constantly struggling with personal issues on top of his duties as a superhero, his publisher told him, “You don’t understand, Stan, a teenager can only be a sidekick, he can’t be the hero. And with all these personal struggles … you do know what a hero is, don’t you?” Heroes come in every shape and size. Stan Lee knew that. He made heroes for everyone to enjoy. They were human first and superhuman second. Stan’s characters were a far cry from DC’s do-gooders. They were flawed people like his readers, making them very relatable. The Fantastic Four were always bickering. Spider-Man suffered from unrequited love and financial issues, all while trying to keep up with his schoolwork. The Silver Surfer mused about the shameful nature of man. The Hulk struggled with self-hatred. Daredevil struggled to reconcile his vigilante work and the evil he saw with his Catholic faith. Iron Man was plagued with alcoholism. But the heroes learned how to get over their struggles and they gave his readers hope for a better future. I will never meet Stan Lee. But I have a sense of who he is because of the stories he wrote. The characters he created. And the universe he left us. Excelsior, Stan, Excelsior.